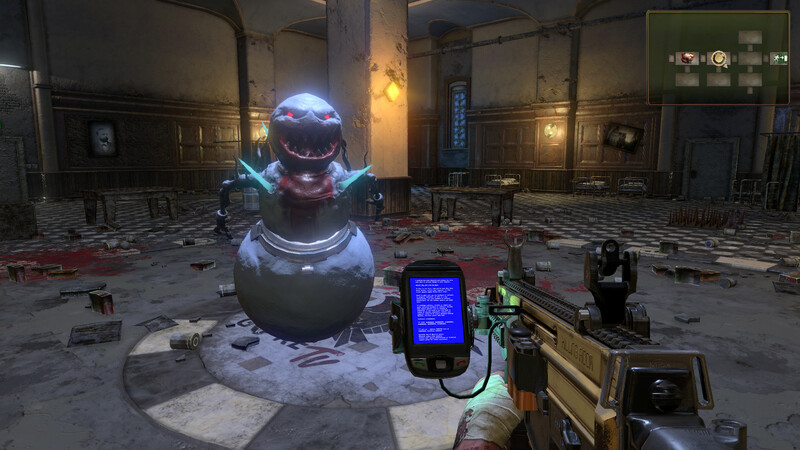 Killing Room is an upcoming rogue-like FPS full of violence and black humour, which doesn't take itself too seriously. According to this reply the game will be launched in October, and there won't be Early Access, though they promise to keep adding features and fixing bugs. The setting is a dystopian 22nd Century, reminiscent pf the Saw movies: you're the unfortunate participant of an insane reality show, where you will have to face and survive horrendous monstrosities to entertain rich people, the only ones who can afford to watch the program. Naturally, if you reach the highest floor, you'll gain your freedom and a lot of money, but the game description makes it very clear that it's something insanely hard to achieve. The game will include the typical elements of rogue-likes, which are available for you to check in the official wiki. There are different guns, a variety of items and of course permadeath, but the most interesting one is the possibility to interact with your audience if you're streaming, allowing them to punish or reward you depending on your gameplay. Apparently a lot of focus will be put in the need to not only play well, but also to be a good action-star, since if the way you fight is boring, the description indicates you'll face undesirable consequences. 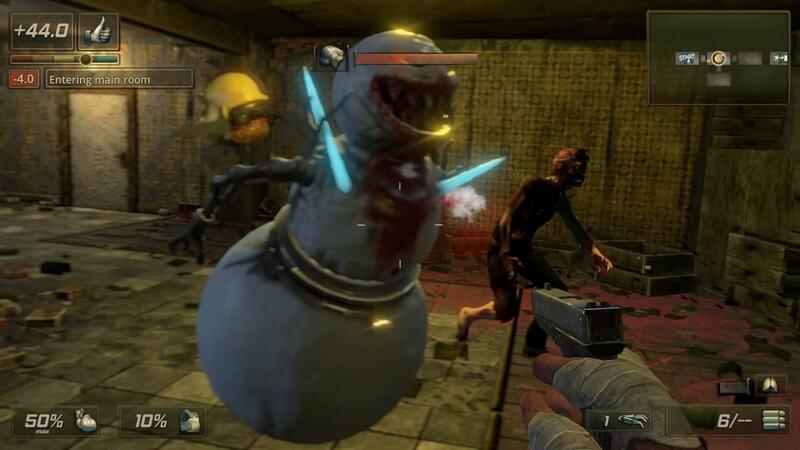 Also, something has to be mentioned: during all its development, the game was criticized by a lot of players because of an alleged similarity with Killing Floor (besides the name, obviously). You can check the comments at the Steam Greenlight page) Although I have Killing Floor in my account, I still haven't played it, so I can't give you my impression about this issue right now. Though personally I would say that despite loving black humour, this gameplay video never made me laugh; also, I found the tone of the game and the voice acting extremely apathetic (especially the audience, who is very civilized considering the barbaric and visceral nature of the show). Plus, I would love it if the main character had either a bad tempered personality (like Jack Carver, of Far Cry) or a psychotically comical one like Deadpool's, for example. As for the gameplay, I'm honestly undecided; I hope they eventually release a demo to try it a bit. Don't get me wrong though: I might seem pessimistic, but I think this game has some potential to be fun and offer interesting game mechanics, but at the moment I'd simply prefer to wait for the release and see how it's reviewed. Naturally, livestreamers will be the ones with the last word for this one. Special feature for streamers and their audience! 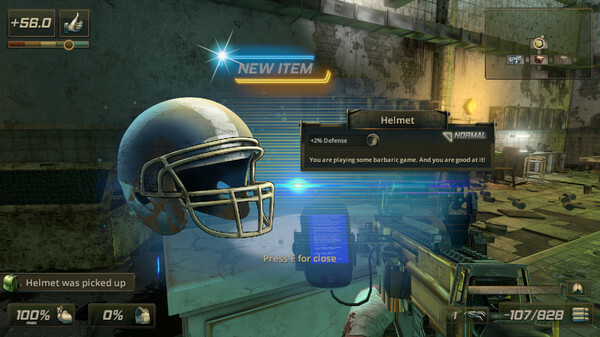 Every player has an option to let his audience vote for his reward or punishment. Voting is real time and lets streamers push their show to the next level. Viewers get a chance to directly influence playthrough of their favorite streamers. Interaction between streamers and viewers has never been such fun! I don't get people comparing it to Killing Floor, it's a single-player rogue-like FPS that doesn't resemble KF at all to me. liamdawe I don't get people comparing it to Killing Floor, it's a single-player rogue-like FPS that doesn't resemble KF at all to me. It's probably because of the horror-ish aesthetic both games have. The game looks fairly interesting but i'm worried by the clunkiness you can notice in the trailer. Comandante oardo What means "rogue-like"? It's a poor name for a genre because it is not self-descriptive like other genre names. Rougelike games often don't have a persistent save state, each playthrough is it's own session. Death is permanent. Basically, similar gameplay-wise to the game "rogue", which I admit I have never played. The closest I've been is Rogue Legacy, I guess. To summarise: procedural dungeon, permadeath. Think The binding of Isaac, tower of guns, Ziggurat, A wizard's lizard, and a whole lot of other games. I might put this one on my watchlist. Here is a very strict definition (called the Berlin Interpretation). This game is not a Roguelike by this definition. A much more liberal definition would be a game with procedurally generated levels & permadeath. like AnxiousInfusion Said though, it's a poor genre name. Just try comparing the gameplay of Rogue to this game, they could not be more different. The biggest thing being Rogue is turn based :/. well, only similar thing with KF is first part of the name. Our game is pure single-player and focuses on completely other things than KF. It is closest to Ziggurat but we also found inspiration among other rogue-like/lite games like Binding of Isaac or Enter the Gungeon. Can I be the first to say that Rogue-like is SO overused these days to describe a game. It shouldn't even realistically be a proper description for most of these games. Rogue is indeed a turned based, randomly generated (procedurally generated is also a horribly overused term) dungeon game that is turn based, and I believe the original one had no save states and you basically played until you died or you gave up and quit. Fortunately newer versions of the original + others in the rogue-like genre (ADOM, Nethack, Moria, etc) all have at least save states, though permadeath is still there. One of my favorite versions of Rogue is the one by Epyx on the Atari ST.
http://www.mobygames.com/game/atari-st/rogue It's a nice graphical version. ADOM (Ancient Domains of Mystery) is on Steam if you'd like the commercial one with updated graphics, etc. Anyhow, if this actually were Rogue-like with the attributes of Randomly/Procedurally Generated maps, then I'd be all for playing a FPS that does that. I think there was some mod for one of the doom engine clones that was supposed to provide that, but I don't think it was ever finished. I know there was some game I backed which was supposed to be a randomly generated FPS RPG, but that guy gathered some money for help, then bailed on the project...Tombs of Something... can't recall the game now. Well, our game is quite similar to Ziggurat so if you are interested in this kind of games, you could try also that game. Developers of Ziggurat helped us when we wanted to achieve their level of movement smoothness and we love their game so I would totaly recommend you to try it.